This guide will cover all steps that are required to export a MasterMap layers to .shp format. Exporting to different formats requires small changes in the DataPump script files. All of these changes will be explained in the further part of this documentation. 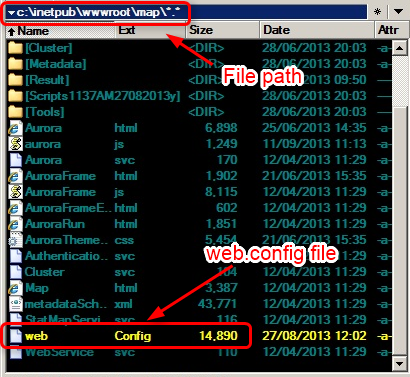 Please be extremely cautious while working with web.config file! Editing and saving web.config file will force Earthlight to go down for around 10 minutes. In this case we just need to copy part of a text so it won’t affect the file and Earthlight will not be stopped. We strongly suggest to copy this file to a different location and use the copied version. In the web.config file please find a <connectionStrings> </connectionStrings> section. This section contains paths to all repositories. Please be aware that your connection strings order and values may be different from these presented in this guide. We need to find a connection string for SpaceMap Repository. This is where MasterMap files are stored. Please note that we’ve ignored double quote " characters at the beginning and the end of connection string in the web.config file. Now we are ready to create a .script file for the DataPump. This is how it should look. Note that the <Source> section contains the connection string to SpaceMap repository. However there is a new entry added at the end of the connection string: ;table name=BOUNDARYLINE . More information can be found in the description of mark number 2. DataPump is able to export only one table per action. In order to export many tables you need to add new action for each table to the existing script or create a separate script for each table. 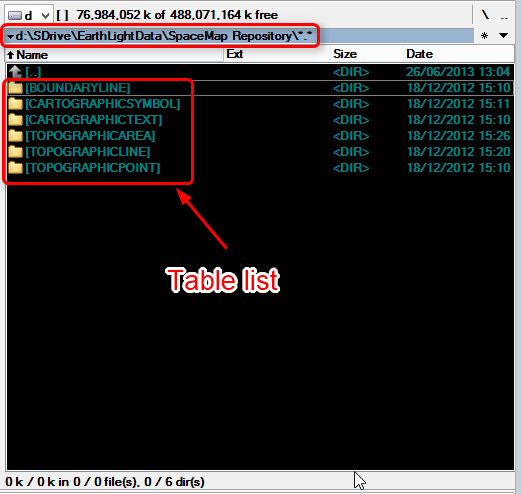 To inform DataPump which table should be exported in each action you need to enter its name in ;table name=xxxxxx . it will create a BOUNDARYLINE.shp file in the d:\Temp folder. 3. Executing the DataPump script.